Bloomingdale’s is an upscale American department store, which offers high-end clothing and accessories from a variety of different brands. With Big Apple Buddy’s personal shopping service, you can now buy direct from the Bloomingdale’s online store anytime, anywhere. At Bloomingdale’s you can shop for clothing and accessories from brands like Burberry, Kate Spade, Tory Burch, and more. If you’re looking for a new handbag, you’ll have plenty of gorgeous options to choose from. Burberry’s Signature Grain Traveler Medium Clifton Satchel is a classic and iconic look that will be your new favorite go-to accessory. The bag comes with an adjustable shoulder strap, providing plenty of flexibility in how you tote it around. 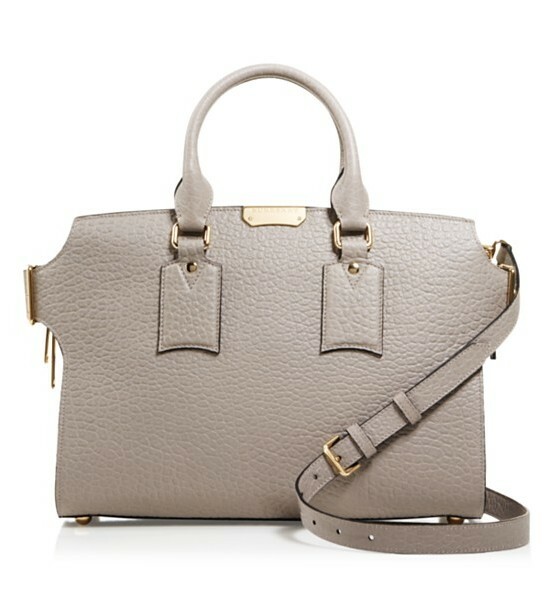 With a pebbled leather exterior and plenty of pockets, this bag is both stylish and practical. Available in classic pale grey and black, you can be sure that it will match your wardrobe, no matter which one you choose! Bloomingdale’s also has an impressive selection of jewelry to shop from. 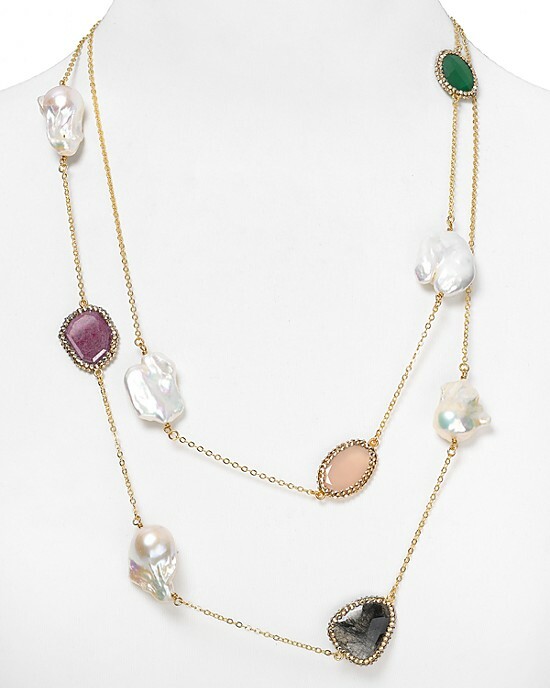 This Roni Blanshay Cultured Freshwater Pearl & Multi Stone Strand Necklace is made of beautiful freshwater pearls and Swarovski crystals. Instantly add some flair to your outfit when you slip this necklace on. Although the design is unique and stunning, it’s still an easy piece to throw on over a dress or your favorite blouse and will always leave you feeling glamorous. Looking for new shoes? You’ve come to the right place! Bloomingdale’s has a wide selection of different brands and styles of shoe to choose from. These Stuart Weitzman Booties - Go West Stud are the perfect pair of shoes to slip on during a fall or winter day. The silver-tone studs and slim buckles add just the right amount of edge to these shoes to help you make a fashion statement while also still feeling comfortable and free to move around. 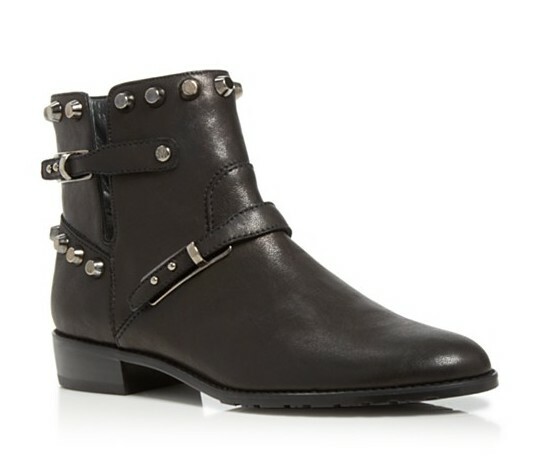 Pair these boots with skinny jeans or a flowy dress: they work with just about anything! Unfortunately, the USA Bloomingdale’s online store only offers international shipping for certain brands. Big Apple Buddy, your personal shopper, however can help you buy any products direct from the official USA Bloomingdale’s online store and ship them to your doorstep, no matter where you are in the world. If you would like to buy from the USA Bloomingdale’s online store, simply let us know which items you would like to order (by filling out the form below) and we’ll get back to you with a free international shipping quote within 24 hours!